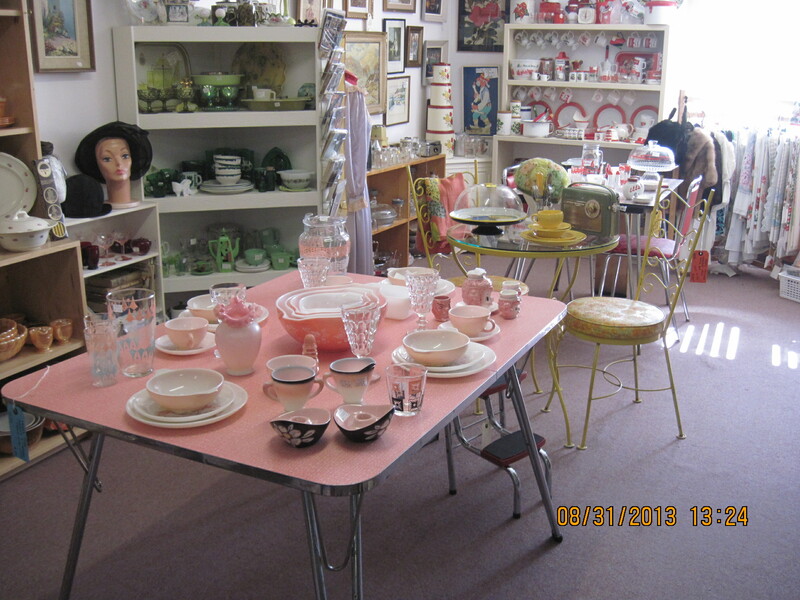 We picked up another nice mid century formica table recently. 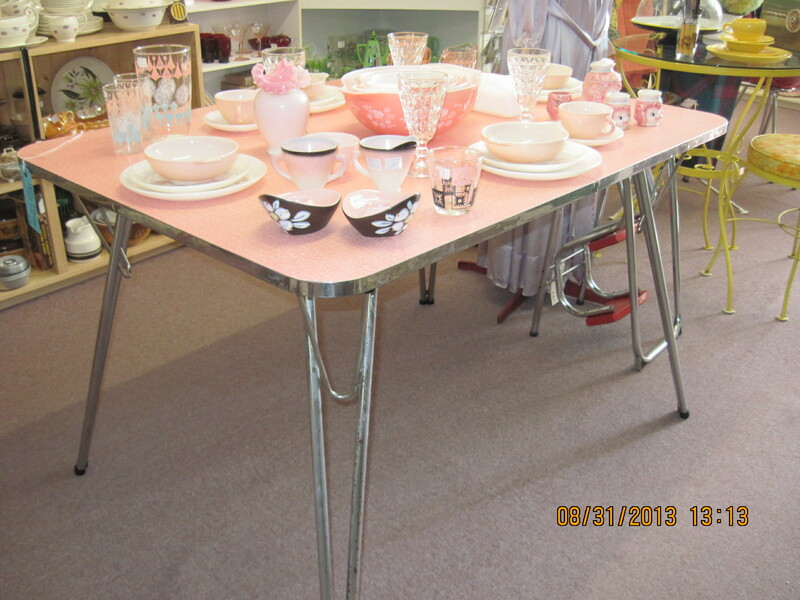 This one has some spots on the chrome legs that are worn, but still a nice table overall. We replaced the rubber tips on the legs and cleaned up the surfaces. It does have one extension leaf that goes with it so it would seat six easily. This table is at my booth at the Almonte Antique Market , 26 Mill Street, Almonte, ON, just 30 minutes west of the city of Ottawa. Is that fire king .> OMG so awesome.. 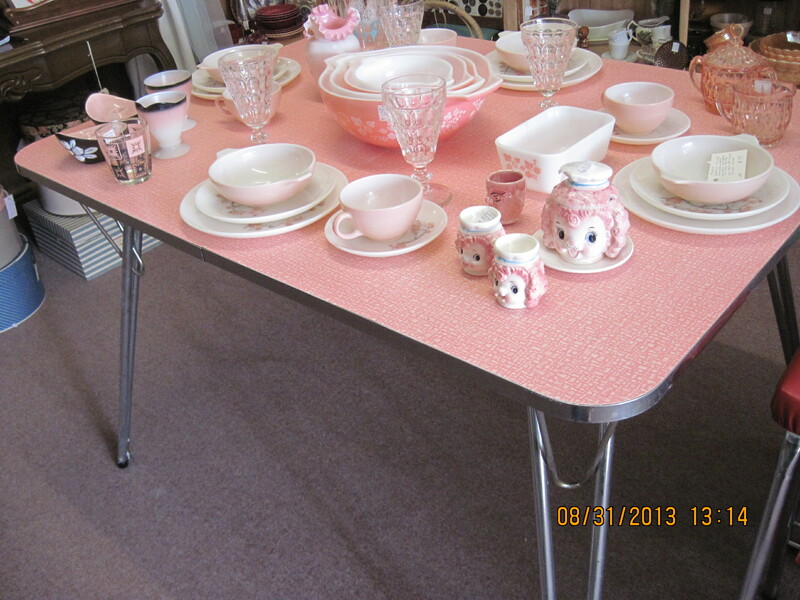 The pink and white dishes on the table are the Family Flair Pattern made by Pyrex. The pink Gooseberry pattern mixing bowls are also by Pyrex.